In December 2004, a tsunami hit the coastal areas of Tamil Nadu and tore apart the entire area, killing people, uprooting families, and rendering women and children helpless. Danny and Orly, who had come to Auroville two months prior to the tsunami, were overwhelmed by the agony and pain brought by the devastation. With the desire to give a second life to the affected women, they decided to use their experience with papier-mâché and social work to support them. This culminated in 2005 with the genesis of WELL: Women’s Empowerment through Local Livelihood. WELL started as a training and empowerment center for women from the inland villages under Auroville’s Coastal Development Center (ACDC), and the project soon spread. Women to be trained are selected by Auroville Village Action Group (AVAG). The first unit to be trained was a group of 10 women, later to be known as Sri Mother’s Unit. The goal of WELL is to empower women by providing an extended training program to aid them set up their own profit-sharing production units. 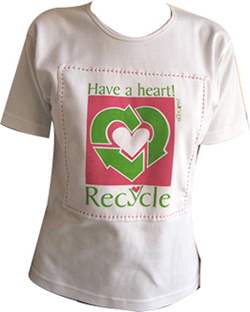 For a period of six months, a group of eight to ten women learn to create products using recycled materials, mainly newspaper, as raw material. They are taught, amongst other things, to roll newspaper into reeds, which they then weave into baskets. From here on, there are no limits: they have created coasters, table-mats, accessories, bags, plates, and boxes, all of varying colors, shapes and sizes. Women laugh, sing, share and create not only new products but also a new life around them. Over the years, WELL has grown from a technical training project to a social enterprise development model. It is amazing to see that how women bond with each other and the WELL team. It is a two-way, learning-sharing process. Women from different villages and castes work together in a harmonious and creative way and then go on to face the challenge of owning and running an independent profit sharing company together with the guidance of the WELL team. The women are offered training in enterprise development, health and hygiene awareness, and family care. The program also includes personal development coaching, group strengthening, and improvement of communication skills. When it was seen that some women had to walk more than 45 minutes each way to reach their workplace, a bicycle scheme was launched. The initial unit, Sri Mother, completed training in 2005 and opened its own production workshops in the village of Allankuppam. The Sri Mother workshop skillfully produces woven baskets of different sizes, shapes and colors. The second unit, Meera was trained beginning in August 2006. They opened workshop in Allankuppam and dexterously make beads and roll design baskets. The next year, 2007, another group of women was trained and named Sri Aurobindo. They opened their workshop in Kootroad, a place near Auroville. The fourth group, Jeyam, was trained in 2009 and is accomplished in designing accessories items. They also have their workshop in Allankupam. All the workshops are running well and their products are now being sold in different stores across India, as well as exported to countries such as Germany, Thailand, New-Zealand and Ireland. WELL is a story of hope and growth. As Poorani of Sri Mother unit says: “At the beginning I was scared to make mistakes but now I have more self confidence.” Aside from financial independence, interactions with WELL Paper have taken the women to the higher levels of courage and self esteem. They have grown as people and learned to take charge of their life and family, their company, and society at large. They have empowered themselves by making decisions and being responsible for their own company. At WELL Paper, we strive to realize the goal of women’s empowerment. Our endeavor is to make the women financially independent and in that process, develop their innate strengths by urging them to make decisions and responsibilities, providing the required atmosphere along the way.